Angelina Jolie- who has graced the titles of plenty of publisher Hearst’s mags, like Cosmopolitan and Elle– is hooking up with the company for a live web chat across several of the conglomerate’s brands Thursday night. An unlimited number of users can join in the chat, but a Facebook account is required to participate in the conversation. The chat is streaming through the web portals of the sites for Cosmopolitan, Elle, Esquire, Good Housekeeping, Harper’s Bazaar, Marie Claire, O, The Oprah Magazine, Redbook and Woman’s Day, and specific links to the chats for each title can be found below. 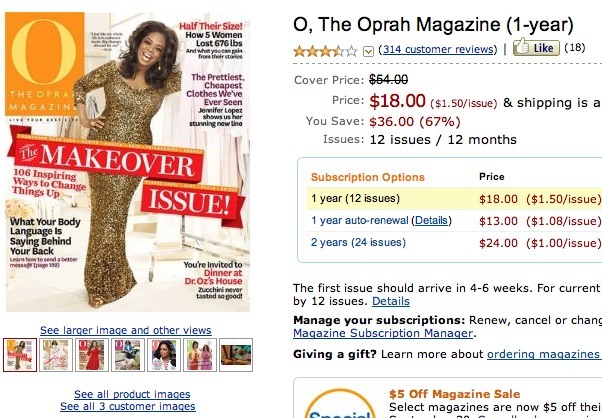 oprah , i love it.